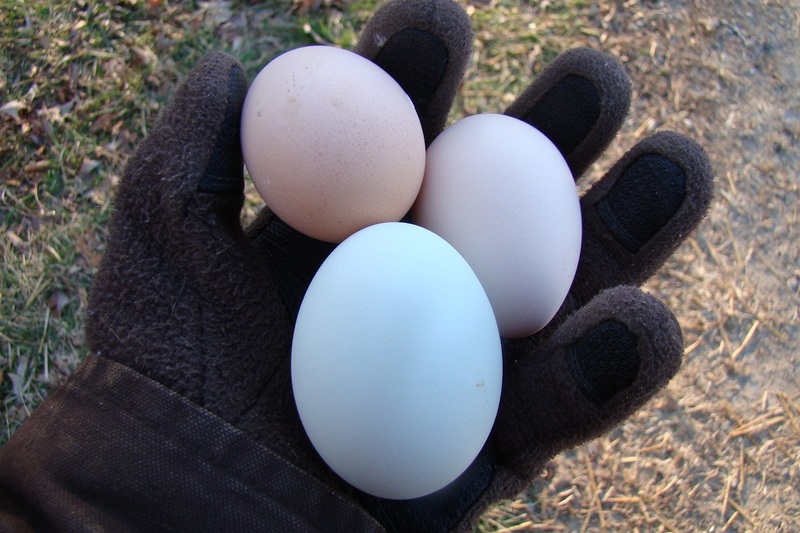 Chickens usually take a break over the Winter from laying eggs. They slow down as the days grow shorter. Last year we had only one hen continue to lay through the cold months. I actually had to purchase a half dozen eggs for baking last year. This year, not so much. That’s Cranberry’s giant green egg (go Cranberry!). I’ve got goat cheese in the fridge and spinach in the greenhouse. Think I’ll make omelets for breakfast. I wish ours would slow down. I got 6 eggs this morning! My goal is to make loads of extra fancy cakes this year… the ones I didn’t dare make when I had to buy a dozen for one cake. Oooh… extra fancy cakes are awesome!